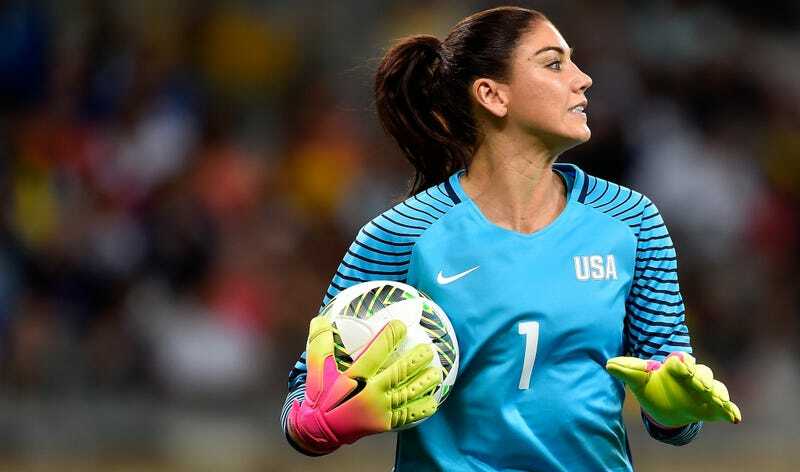 A week ago, United States national team keeper Hope Solo posted a pair of photos on her Instagram showing off the extremely large arsenal of anti-mosquito products she was bringing to Brazil to stave off the Zika virus. This afternoon, in the United States’ opening win over New Zealand, she was roasted by the home crowd for going over the top with her preparations. The U.S. took a 2-0 lead within the first minute of the second half, then spent most of the rest of the game coasting. Julie Foudy reported that Brazilian fans had been critical of Solo for her Zika posts, and they expressed their feelings for her throughout the second half and booed her every touch. The crowd even chanted, in unison, “ZIKA!” at her on a few second-half goal kicks. NBC asked Solo about the reception she got in the stadium, and she replied that a loud stadium is better than a quiet one, even if it means getting booed. If the USWNT gets Brazil in the knockout rounds, I’m sure Solo will hear it for the whole game.